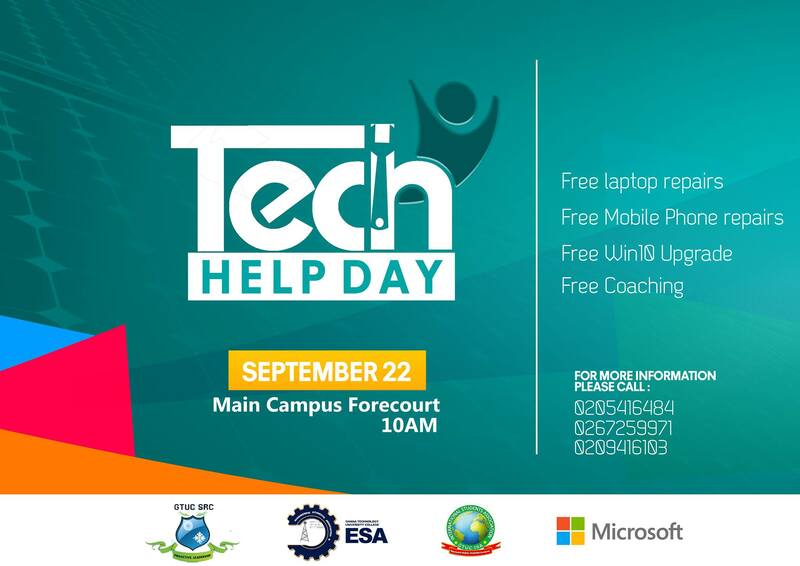 Microsoft Student Partners at Ghana Technology University College will be having a Tech Help Day on September 22nd, 2015 at the forecourt of their main campus in Accra with the event starting at 10am. The volunteer Day program will see the student partners providing technological support and consulting services to individual who turn up for FREE. They will help with upgrading your PC to Windows 10, repairing of laptops, repairing of mobile phones and try to help solve other tech related problems that are brought in. You are also sure to get some valuable lessons and tips from them at the Tech Help Day. If you happen to be a Ghana Technology University College student or stay close to the main campus, if you don’t mind moving across from another campus or town you should take advantage of the Tech help Day and #upgradeyourworld to #Windows10 as it’ll empower you to #achievemore.